This entry was posted on Saturday, September 6th, 2014 at 8:11 pm and is filed under C Sharp. You can follow any responses to this entry through the RSS 2.0 feed. You can leave a response, or trackback from your own site. 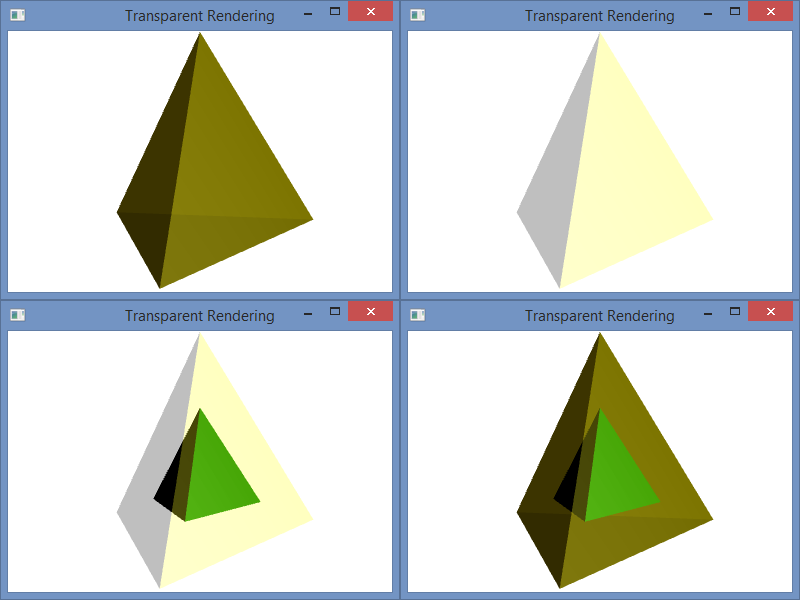 What if you have multiple transparent objects, and you have no way of knowing which object would be “blocking” the other objects at render time?